You are here: Home / DID Education / Article Links Made – Finally! Article Links Made – Finally! 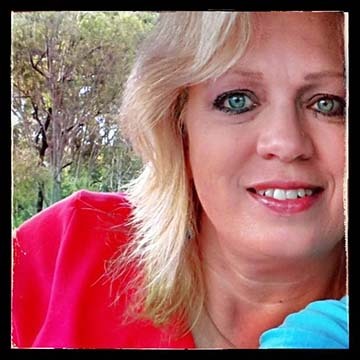 I have a page on this blog that lists all the articles I’ve written in chronological order since the beginning of the Discussing Dissociation blog. Several people have asked me over the past few months to make links for each of the articles in order to make it easier to navigate around and to find the various topics. And, while BTC tried to assist me with that long ago (thanks, BTC! ), I just couldn’t quite figure it out (how embarrassing!). The good news – today, just today – I have finally figured out how to make the links for all the articles on this blog. Every single article is now linked on the List of All Articles page. Please have a look at the list. Have you been able to read all of the articles yet? Which articles mean the most to you? Which articles are the most difficult for you? Which articles are the most relevant for you? Which articles are the most painful for you? Which articles are the most challenging for you? Which articles are the most helpful for you? What have you learned by reading the various articles on this blog? I’m looking forward to many more blog articles yet to come. Hundreds of articles about Dissociative Identity Disorder and related topics listed here. * Which articles mean the most to you? I really like your article about the ten life lessons you’ve learned from multiples, they were so positive and made me feel so much better about myself. Its been really hard having this diagnosis because all i feel sometimes is fear and anxiety, and when you look up articles all you read about mostly is the bad stuff and memories and such, and its nice to have a few small bits about positive things that multiples do or say or that they too have impacts on other peoples lives. * Which articles are the most difficult for you? The blogs about dealing with emotions i find especially hard. Like how the more recent post dealing with anger and pain. Its not like we don’t know this stuff, it just gets really hard to hear. * Which articles are the most relevant for you? So far just about all your articles have been somehow relevant for me. They all leave me thinking and trying to understand things better. * Which articles are the most painful for you? The articles that discuss the long term affects of child abuse, only because i know from first hand, and it makes me so sad that people don’t realize how much damage they are causing and how being abused as a child becomes a long term, life threatening thing..it cripples us..you know? * Which articles are the most challenging for you? The articles about therapeutic relationships are challenging for me, and the ones about singleton friends and such. i have a hard time with relationships and relating to others. Also the blogs about child parts and internal work and memory work are very challenging to me. I am doing a lot of memory work now, so its really difficult and hard, especially since its really hard for me to trust my therapist, not that she isn’t trustworthy i just worry..
* Which articles are the most helpful for you? All of your articles have helped me in some way, they always seem to challenge my thinking and i often take some of your blogs to my individual therapy sessions, and they sometimes help me talk when i would other wise be silent. * What have you learned by reading the various articles on this blog? what haven’t i learned? it would take me all day. So i just want to say thank you for taking your time out to do these. Thanks for your well-thought out response. I certainly appreciate hearing your thoughts, and thank you so much for your very kind words. I’m glad this blog is having such a positive impact on your healing. I’m curious to hear more about what your therapist says about the blog articles when you take them in to therapy with you. Are they well-received there? I’m really pleased to hear that they are helping you find words to talk during your sessions. That’s really excellent. I feel quite more trusting of the written word. I can read it over and over and it does not change. Of course I do consider the source. That being said, reading here has helped me understand quite a few things…including why my T is probably frustrated with me, and why I am so incredibly frustrated myself in the therapy process. Reading stuff here, well, its not like you proly got some kinda of agenda to get me or something, cuz you don’t even know who I am. And then it way cool to read other peoples comments. Manoman, lotsa the articles are great and thot provoking. I like how you ask questions at the end. I really liked reading about how a person can be stuck in denial cuz thats their dissoc walls still being there. I didn’t know that. I found it difficult to read about caring for my others inside, really hard. I could write alot bout how many points have been useful to me. But then this would be too long. One thing though, I just gotta say, is that I don’t agree that dissociation ALWAYS neccessarily comes from severe abuse. I don’t think I had such, yet apparently I dissociate. I don’t know why, other than I am sure I was probably a very sensitive kid. And while I may have had some challenges, seriously, I don’t think there could be anything so bad. I have 3 sibs, and nothing has ever come up about there being bad stuff when we were kids. Ya, Kathy proly would say, ask the others (my T is FOREVER saying to ask inside), but, well, they not so clear, and there’s huge blocks. And…..well, there just couldn’t BE anything bad. So I think I am a case where there isn’t a real SEVERE situ that caused my dissociation. And I think that there’s proly others like me who don’t understand why they dissociate, cuz they not know anything bad either. So I hate reading that, that DD is allus from severe abuse. Cuz then I must be crazy. Sorry, I kinda in a bad place w/all this diss crap. But wanted to say LOTS helpful here, and I gonna keep reading cuz I nor read all yet. And I gonna work on some of your suggestions regarding journalling and questions to ask self and stuff. I guess I gonna have to talk to them frikken insiders 🙁 but when the lils start to be around we get weird random triggers and triggers beget triggers and everything gets so f up and we just want it to stop. Sometimes we got no hope. Thanks for all you write. We dunno why you do all this writing, but it nice you do OK? 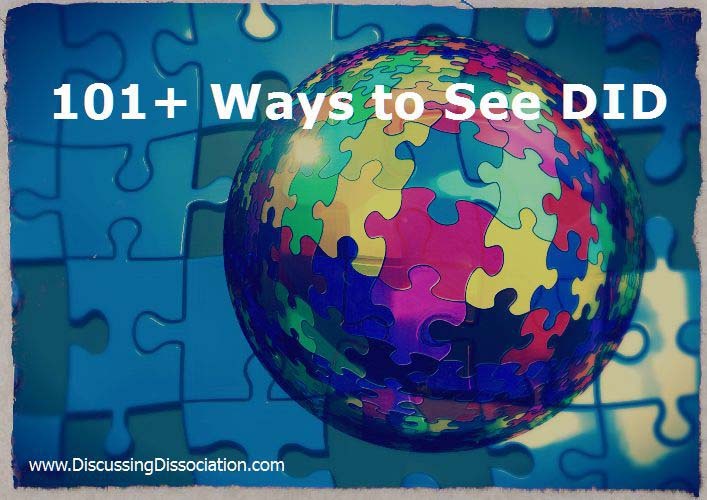 I’ve been updating the List of All Articles page here at Discussing Dissociation. I’m not completely up to date on all five years of posts, but I have most of them listed. If you are looking for a specific topic, you might find it listed here. Or try the Category Dropbox, or the Search feature.